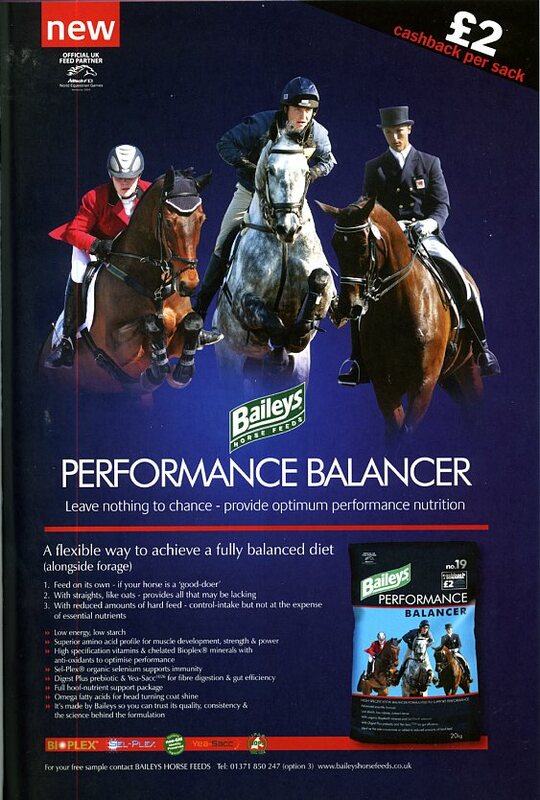 Have you seen the new Baileys Horse Feeds - No. 19 Performance Balancer sacks and adverts? If you have then you will have spotted Andrew riding Numero Uno on them! Andrew is delighted that Baileys have chosen to use that image of him and he looks very smart.